“more candidates than expected cleared [medically and legally]. Therefore, [Peace Corps Mongolia] is looking for 4 Health Invitees and 1 Education Invitee to volunteer for placement in a different country of service… If by Monday May 15th, [PC Mongolia] has not heard from enough candidates, [PC Mongolia] will begin to proactively identify candidates for alternative placement”. Sounds eerily similar to airlines overbooking flights… As expected, the Facebook group immediately lit up with people worrying about the email and asking if anyone had volunteered. While I did not participate in this conversation, I sent a screenshot of the email to my mom right away and consequently received an extremely worried call from her. We decided not to contemplate the decision-making process and rather, just await the verdict with the hopeful assumption that I would make the cut. As we nervously waited the four days until Monday when we’d hear news, my mind wandered, exploring the possibilities of what I could do if I was chosen to stay in the US before being reassigned. For the first time in 10 months, I was thinking of my future as not including Mongolia, and honestly, I felt lost. Besides the monetary losses (my mom had ironically cut the tags off all my warm winter clothes the morning the email arrived), I wouldn’t have any plans; I hadn’t applied to grad school since I’d already accepted my invitation and hadn’t foreseen any obstacles between medical and legal clearance, and I hadn’t applied to any job opportunities besides Peace Corps. What would I do? End up working at Giant Eagle or Kroger’s as a cashier? I hoped not. I did have a lot of friends who kept telling me to visit them over the summer, but I knew my mom wouldn’t be down with that… can’t just laze my life away. And so, my 10 months of mental preparation began to slowly crumble. All my family members, friends, and family friends were extremely supportive. There were hopeful musings, stressed musings, and realistic musings. One family friend said that from his and his wife’s many years of government work, he knows the government makes decisions the simplest way: last hired, first fired. Now, I’m not sure if that’s the route Peace Corps Mongolia took, but it sure eased my worries. On Monday, the 15th, we were emailed saying that they hadn’t reached a decision yet, but hopefully they would have more concrete information by Tuesday (the 16th) or Wednesday (the 17th). 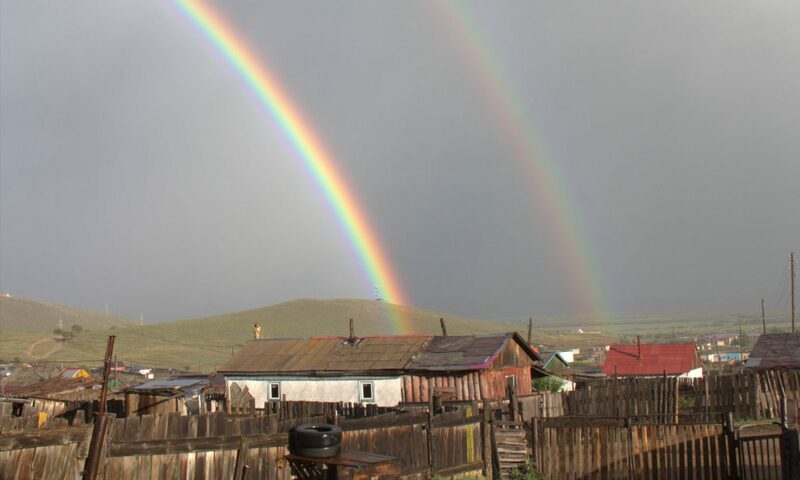 On Tuesday, my mom and I were shopping for the final clothes we thought I’d need for Mongolia (remember, we stayed hopeful) when I received a Facebook notification that someone had posted in the Peace Corps group. The post stated that the member had received a phone call from the head of Peace Corps Mongolia informing her that she would not be going to Mongolia and she hopefully would be reassigned quickly. This meant that for the next hour, I was obsessively checking my phone to make sure I had service in case I received a call. Within an hour of the post, the M28s received an email stating that the M28 class was final, everyone who was identified for alternative placement had been contacted. I’d made it! After 10 months of certainty and only 6 days of uncertainty, I was once again certain I would be going to Mongolia. With this revamped excitement, my mom and I continued preparing and packing for Mongolia (unsure if you’ve noticed, but my mom has played a huge role in preparation for the Peace Corps… thanks mommy). I should’ve taken pictures of the packing process but I entirely forgot. Just imagine an entire queen-sized bed filled with clothes and supplies, surrounded by electronics on the floor. Now imagine all of that stuffed into 1 medium duffel bag and 1 large suitcase. It was almost an impossible process: multiple times repacking the suitcase, transferring the summer supplies from the suitcase to the duffel bag, transferring the winter supplies from the duffel bag to the suitcase, realizing it was better originally, transferring everything back, and realizing there were 3 pounds that we could not get rid of. In the end, we used magic to fit everything… Nah, we took out my blow-up sleeping pad (my poor back). All this was made possible by both my parents and “space” bags; my dad rolled the clothes in the “space” bags to make them airtight, my mom packed, and I handed stuff back and forth. It was a wonderfully efficient assembly line. I’m still impressed that I’ll actually be able to take most of what I planned on and wanted to Mongolia. Most of all, I’m excited I’m going! What exactly is the Peace Corps? Did you want to go to Mongolia? Did you apply to other countries? What language do they speak in Mongolia? to help promote a better understanding of other peoples on the part of Americans”. As college draws to a close, many of my friends are thinking about the new jobs they will be starting as Bucknell alumni. For most of my friends, this school-year has been stressful either because of grad school or job applications and interviews. Luckily, I did not have to stress as much since I knew what I would be doing after graduation. Namely, going into the Peace Corps. My path to the Peace Corps began spring semester of my junior year in April 2016 after talking to a friend invited to serve in Mozambique. I started by researching the available positions and narrowing down by departure date. That was the easy part; next, I had to find out more about volunteers’ experiences. My sister had a colleague who volunteered in Costa Rica with whom she connected me. I emailed her colleague, asking question after question until I was satisfied with my understanding. I decided that with this new knowledge and my interest, it would be beneficial to talk to a Peace Corps Recruiter. On May 10, 2016 I had a video call with the Peace Corps Recruiter closest to Bucknell. We discussed the types of programs with which my background would best fit, as well as what I should add to my resume and other changes I should make to my application. After that, I got to working on my application: resume, aspiration statement, etc. I went through many revisions of my aspiration statement and resume, but in the end, I submitted my application to the Peace Corps on June 18, 2016, a month after school ended. I ranked Mongolia-Health as my top choice and then Ghana-Chemistry and Ghana-Biology as my second and third choices. I wasn’t expecting anything to come to fruition regarding Ghana, and I turned out to be right; I was only considered for Mongolia. On June 22nd, I received an email asking me to complete the PCV-Health Skill Addendum, which I completed immediately. And then… I waited. My patience was rewarded on July 6th when I received an interview request for the coming week. Since I was on vacation, I scheduled the interview for the beginning of the next week in order to have time to prepare for questions. The interview was on July 11th, and I was quite pleased with how it went. None of the questions were out of the blue, and my answers used different examples in each response, as requested in the interview outline. After the interview was completed, I waited three days before sending a “thank you” email on July 14th. In the interview with the Placement and Assessment Specialist, we discussed updating my resume to include some of the information I had mentioned in the interview but not written in the resume. I updated the resume on July 18th, and then I waited, expecting to remain in the dark for a couple months. Luckily for me, while on vacation in Canada, I was able to connect to WiFi and received my invitation on July 25th! I had three days to make my decision, but I responded the same day saying I accept the invitation! Canada’s present to me for receiving my invitation! On July 28th my email notification regarding fingerprinting, special agreements, background checks, visa, and my passport application arrived. First, I filled out the no-fee passport application after getting new photos taken at CVS and completed the visa application. After finishing the visa and passport applications (labelled most important by Peace Corps), as soon as possible I had to fill out a document certifying that I agree to a background check, a questionnaire (Special Agreement Check), and go get fingerprinted. Honestly, it’s been so long since I filled out the documents that I don’t really remember what they entailed. Luckily, I got them all done. But my work was not completed. Cue, the New Volunteer Portal of which I was informed on July 31st. Having just checked out the New Volunteer Portal and seeing all the work that I’d have to do like updating my resume (again…), writing a new aspiration statement, and other paperwork, I thought I’d have time to relax. Boy was I wrong. The Peace Corps waited a single day before sending out my next assignment. I was invited to check out the Learning Space on August 1st. There were four lessons I had to complete: Orientation to Safety and Security, HIV Basics for Peace Corps Volunteers, Core Expectations, and Safety and Security Global Core TLO Assessment 2017. Having learned from my mom that it’s better to get work done quickly and efficiently, I finished all the online lessons so I wouldn’t have to worry about them once senior year started. FYI, applying over the summer was the best decision I made. I was a Residential Adviser during college for freshmen, so I was quite excited during my residents’ Orientation when I received legal clearance on August 23rd. Months of me being excited about Peace Corps, unsure of what I would be doing, freaking out about leaving for over two years, and then stress calling my loan servicer every couple weeks so I would feel productive. Oh and I also joined the Facebook group for my volunteer class, M28! Finally, a month where I could actually make headway with my volunteer status. The medical assignments opened up on the portal on November 5th, and with this began a whirlwind of doctors appointments. There were two weeks in a row when I had an appointment every single weekday (too many shots by my account). It got to the point when receiving three shots instead of four was the highlight of my day… should’ve appreciated the relaxing months before. Luckily, the nurses and doctors were very helpful and excited to help me on my way to Mongolia. Winter break consisted of many appointments at home with the dentist, family physician, allergist, etc. Every time I thought I’d completed the required paperwork, I would receive a message from the Peace Corps nurse asking for clarification about a certain condition. To make matters worse, I had eyelid surgery over winter break, so my assigned nurse was extra worried about how I would fare in Mongolia (spoiler alert: it’s a happy ending and I received medical clearance eventually). Classes started again mid-January, and I was still worrying about medical clearance. I learned on January 19, 2017 that I had received dental clearance but hadn’t heard about the rest of the clearances. The Peace Corps was ever so obliging and decided to take my mind off this by adding a “Mongolian Language” lesson on the Learning Space on January 30, 2017. This meant that there were weekly lessons on Mondays, accompanied by a newsletter from current PCVs in Mongolia and occasional homework assignments. I think these are optional for TEFL volunteers but required for Public Health volunteers (like me!) since our language training will be slightly different as it will be geared towards health. I was also introduced to a website called “Memrise” that helps with language learning like vocabulary, spelling, and listening. So in my spare time, I was trying to learn Mongolian. I sort of had a head start since Mongolian uses a Cyrillic alphabet similar to Russian with an addition of two letters, so taking Beginner Russian my final semester made learning the Cyrillic alphabet much easier. Plus, apparently due to Mongolia’s proximity to Russia, many people expect non-Mongolians to speak Russian. здравствуйте!!! Most exciting month of all: I received medical clearance on March 17, 2017! I was officially cleared by all accounts to go into the Peace Corps! This month has been full of smaller things, like starting the blog, eating delicious food, talking to friends and family, and planning what to pack. My amazing mother has been actively researching and acquiring useful clothes and tools for me to use in Mongolia, while I’ve been trying to learn more of the language and keep my emotions in check (it’s been a whirlwind). I’m sure there are parts of the process I forgot, but I’m too excited about the future in Mongolia to think too much about the past. Time to get Dunkin’ (told ya I’m binging on good food)!